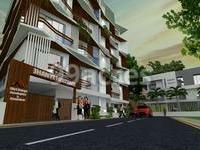 Shri Jhanvi Heritage, located in Hubli is one of the residential development of Shri Durga Developers. 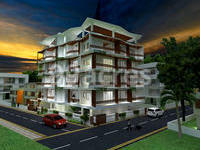 It offers spacious and skillfully designed apartments. The project is well equipped with all the basic amenities to facilitate the needs of the residents. 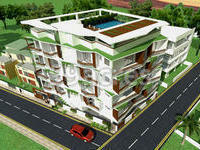 In which area is Shri Jhanvi Heritage located?The project is situated in Bhavani Nagar, Hubli. How much is the total size of Shri Jhanvi Heritage?The project is spread over an area of 0.1 Acres. What is the construction status of Shri Jhanvi Heritage?The expected date of project handover is Sep 2019. How many number of towers are there in Shri Jhanvi Heritage? With 1 towers, the project offers 16 housing units. Does Shri Jhanvi Heritage have kids play area? The project doesn't have kids play area. Is there a basket ball court in Shri Jhanvi Heritage? The project doesn't have a basket ball court.